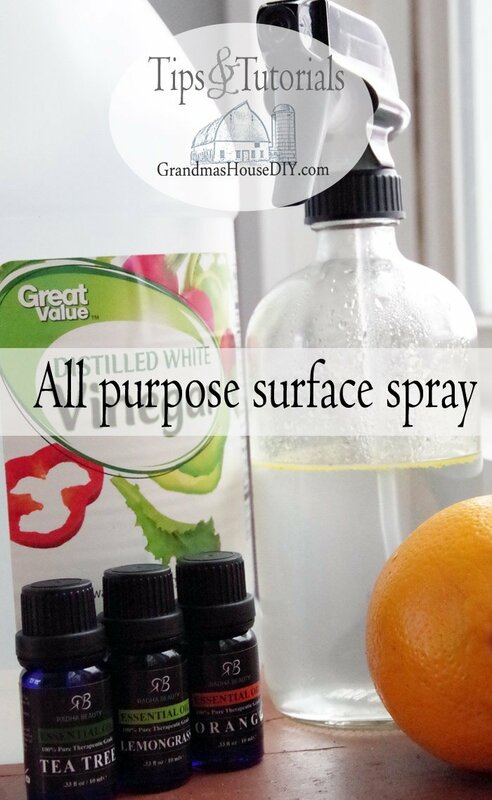 DIY All purpose and surface spray recipe! I finally got tired of dumping vinegar on any of my countertops or surfaces I wanted to clean and decided to finally break down and buy a spray bottle. (I found this lovely little glass bottle on Amazon here.) Honestly I am a little embarrassed that I hadn’t made this sooner! The recipe is so very simple! 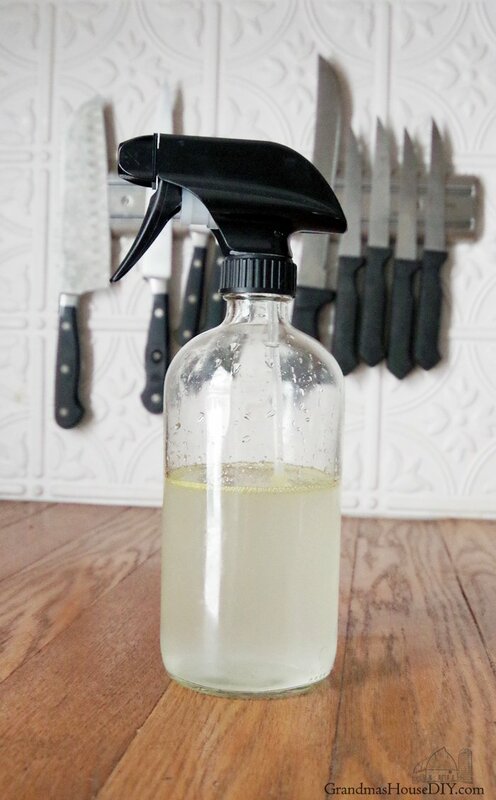 I use this spray on absolutely everything including my butcher block countertops! It leaves a pleasant and interesting smell behind. Of course every time I make it now I try a new combination of essential oils! Though I always keep tea tree oil in it because it has such great antibacterial properties. Its great for my dining room table especially and it leaves just a little sheen behind that I love. It also gets the grime off of my white back splash with little to no elbow grease. I also used it to clean out my microwave and it took care of it with just a couple of sprays and some good wiping. Also, as you can see in the picture, the oils sit on the top so I make sure and give it a little shake before I use it so the oils get dispersed throughout before spraying. This also works fine on glass and mirrors but I’m not looking for a streak free shine necessarily, just looking to get it good and clean and I use just a soft kitchen towel. So far I haven’t found a situation yet where I don’t love this spray! It’s great for light dusting too – I just spray a little on the towel I’m using and hit my coffee table and end tables etc. I like this idea – And I love the scent of citrus – Thanks for sharing on the Pleasures of the NW’s DIY party! Thanks Helen, I’ve been trying a bunch of different combos so far the citrus is my favorite with a dash of lavender! Tarah, Thanks for sharing this spray recipe. It sounds like a great alternative. One of my favorite essential oils is grapefruit bergamot. Sylvia D.
Sylvia I have always wanted to try grapefruit essential oil – definitely going to have to pick some up! Thanks Michelle, I can’t believe how well it works too! Hey Jane, you can get essential oils on Amazon. Tea tree oil is a favorite because it has great anti bacterial properties (I use it on bug bits and cuts or burns too!) that would be a good place to start, after that just about every one of them has some kind of benefit – lavender is great for sleep and smells divine. 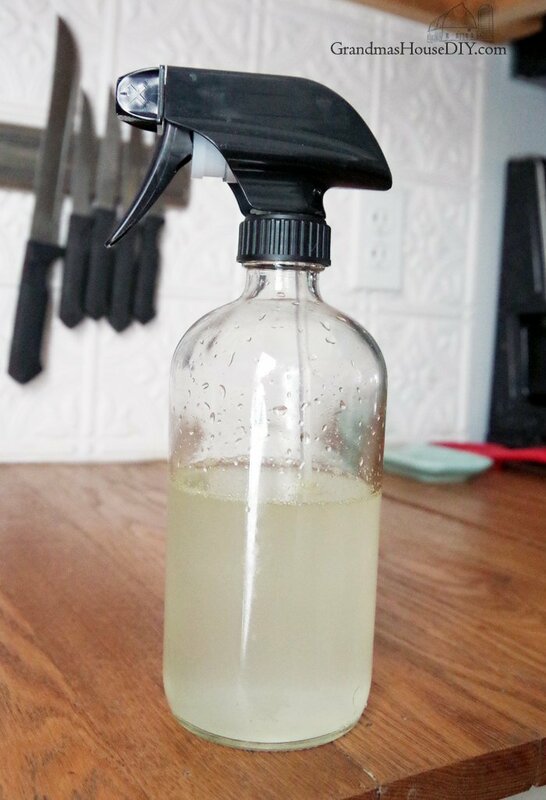 Great idea to make your own spray! Thanks for sharing with SYC. Thanks Jann, hope you have a great week! I used to be so good about making my own cleaners. Perhaps it’s time to get started again with this recipe? Thanks for sharing at the #happynowlinkup! Thanks for coming by Leslie, this is one of my very favorite recipes! It makes our house smell SO good! What a great idea. I have to try it. Thanks for sharing! Thanks Cristina for stopping by! Great idea for the recipe. It will be fun to try this DIY. Maisy its so good to hear from you! I’ve tried several different combos of essential oils in this recipe now and it all smells and works great! 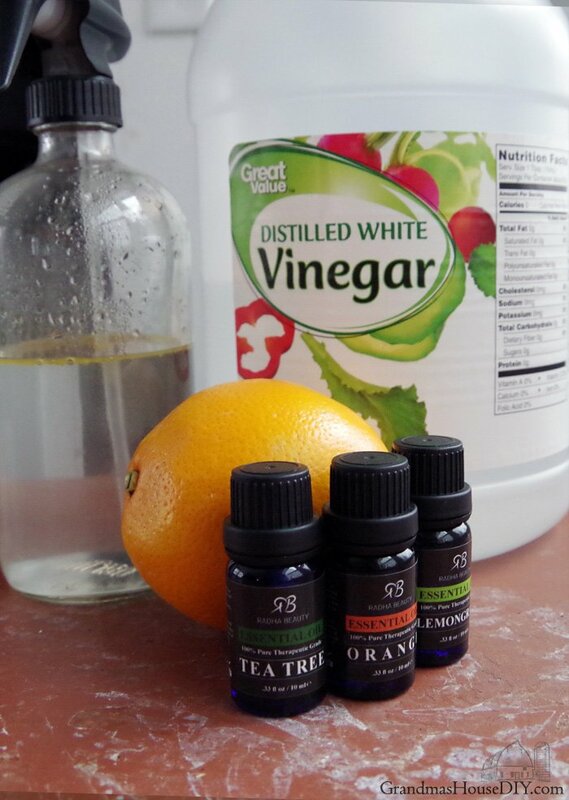 of course you could just use vinegar and water with out the need to add the oils but its nice because it makes the whole house smell so darned good! Great stuff here Tarah but if this DIY cleaner of yours is really that good (I will be testing it out soon), you better take it for licensing or something. Trust me, a lot of people would find it beneficial. Cheers! Great idea! It must smell good too! Thanks for sharing at Home Sweet Home! Thanks Sherry, it smells awesome and I love that I can change the smell too with whatever essential oils I have on hand! I love using tea tree oil as an antibacterial product! Thanks for sharing your recipe! I have been looking for natural cleaning recipes. I will try this one! Let me know how it works for you Michele, thanks for coming by! Thanks for sharing your surface spray recipe to the blogger’s pit stop. Very informative. Thanks for coming by Julie! This is going to save money and space in my cupboard, thank you! Thanks for coming by Sandra! This combinations sounds like it will smell fantastic! Thank you for sharing it with us at the Homestead Blog Hop! Love your recipe! I use all DIY cleaning products. 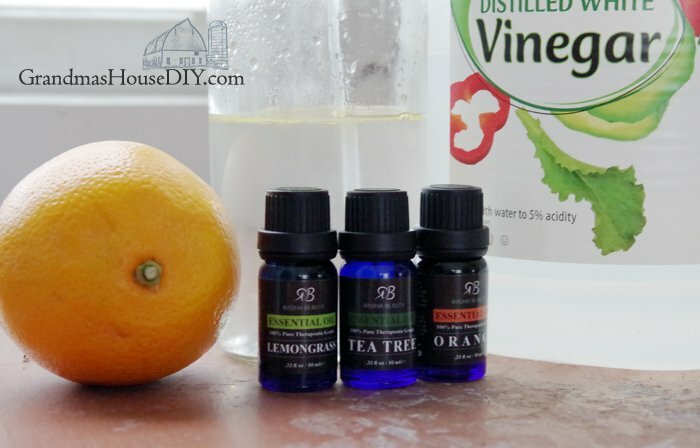 I use DIY citrus vinegar spray – made with orange peels soaked in a glass jar with white vinegar for a 3-4 weeks and it works great. Sharing your recipe on twitter & pinning. Congratulations on being featured on Homestead blog hop. Have a healthy, happy & blessed day! I’ve seen that recipe online I definitely need to try that!! Thanks for coming by, reading and commenting!